Engaging people during a meeting is one of the most difficult tasks a professional can face. Note: if you see people yawning or leaving the room in advance, it is a clear sign that you have to go quickly to either the point or the conclusion of the speech! Categories: km4dev, tutorial | Tags: action, capacity building, collaboration, communication, conference, engagement, facilitation, interaction, interest, involvement, lessons learned, list, needs, people, presentation, speech, suggestion, talk share, tips, training, trust, workshop | Permalink. Greetings to all the participants to AMARC 10, the world Conference of AMARC that is opening today in La Plata, Argentina. I’m really willing to know more about what’s going on there. The draft Agenda and the Concept of the Conference. Categories: news | Tags: action, AMARC, AMARC10, capacity building, collaboration, communication, conference, development, future, interaction, people, rural radios, tools | Permalink. AMARC Asia Pacific Regional Conference is now closed. After the interventions during Day 3 dedicated to fundamental issues like “Gender equality and empowerment through Community radio” and radio to give voices to diversity, AMARC AP and partner organizations met in the afternoon to discuss about the future and in particular the preparation for AMARC 10, the next AMARC World Conference that will take place in La Plata in Argentina, next November 2010. It was an interesting meeting with a important round of table composed by FAO, UNICEF India and Bangladesh, UNDP, UNCRD, and Open Society to discuss how to proceed, how to bring relevant proposals to the World Conference, how to work for a smoother implementation of Community Radio in Asia Pacific in the next future. Now it is time for AMARC AP, after the initial quadrennium dedicated to consolidate the movement in the region, to set up activities in support of the main topics of international development such as food security, climate change, national legislation, gender issues, human rights, knowledge management and capacity building. Imam Prakoso, Indonesia as vice-president for South East Asia. The board has now to front the occasion to follow the growth of the CRs movement in the region, provide support to those countries that still do not have a national legislation or have some problems (like Bangladesh, Thailand, India) and support the spreading of better and more relevant information in the region. As final act of the Conference, the Assembly adopted the Bangalore Declaration. Check the list of participants and the documentation on the Conference. Categories: events, news, reports | Tags: AMARC, ashish sen, Asia, Asia Pacific, Bangalore, Bangalore Declaration, bianca miglioretto, board, communication, conference, elections, facilitation, future, interaction, knowledge management, knowledge sharing, people, rural radios, Suman Basnet, talk share, WIN, Women's International Network | Permalink. Interesting morning dedicated to two major topics: radio for Disaster Risk Reduction and radio for Food Security or Food Sovereignty, as the chair preferred to define it. Examples on how the radio reacted and supported efforts in Japan, after the Kobe earthquake, and in Indonesia, after tsunami in Aceh, gave an interesting perspective about the role of radio in post natural disaster conditions. While the training radio of the Secretariat of Pacific Community explained how the radio can be used for specific purposes and produce adequate responses. The debate on Food Security was not only on the food for itself but related to many other surroundings topics like: the local knowledge on food, the techniques for food production and indigenous food. Many people are dedicating radio programs to the creation of a tradition of local food, in the perspective of giving value to nutrition habits and create local Slow Food experiences. 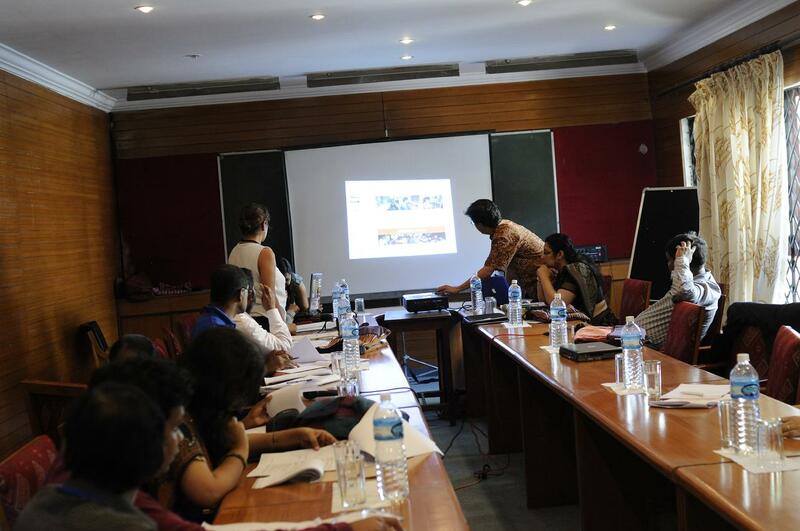 The afternoon, as usual, was dedicated to individual workshops. I followed the one on Community Radio in the Philippines. The panelist gave a brief description of various radios born in collaboration with the Local Government Unit (LGU). He explained how they were able, not being independent by definition, to serve in some cases the territory without political pressures, while in others they were transformed in media center serving the political part of the mayor of the LGU which created the radio station. In the late afternoon, I had the chance to meet several broadcasters and, in particular, almost the whole delegation from Afghanistan which has been very numerous and active during these days even if language was quite an obstacle. I also heard the very interesting story of Sunil, from Sri Lanka, who decided, after serving for 30 years in a Community Radio, not to retire but to set up a new webradio, to preserve his experience! 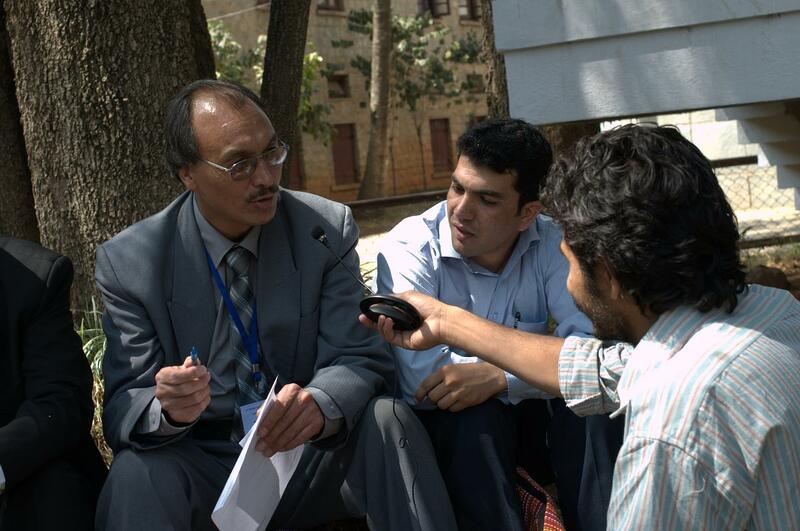 Categories: events, news, reports | Tags: AMARC, Asia, Asia Pacific, collaboration, communication, conference, disaster risk reduction, food security, food sovereignty, indigenous food, Indonesia, Japan, knowledge management, knowledge sharing, LGU, needs, network, networking, Philippines, Secretariat of Pacific Community, webradio | Permalink. Very positive impressions after Day one of the AMARC Asia Pacific 2nd Regional Conference that has just started this morning in Bangalore, India. 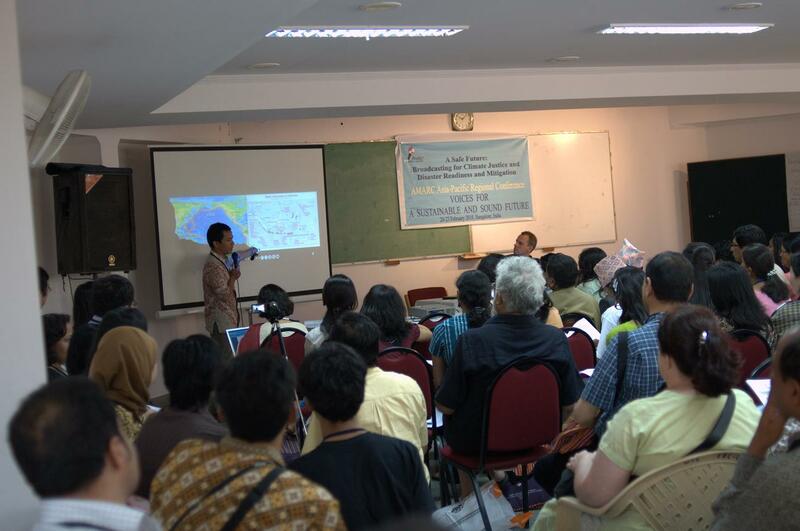 After the morning Plenary sessions dedicated to the topics of main interest for the members as “Airwaves for Sustainability and Justice” and “Radio friendly legislation in Asia Pacific“, the afternoon was divided into several workshops. I joined the one about the idea of creating a regional news agency to serve AMARC members but not only. During the discussion, the need of stronger networking among members was clearly stated by the majority of the participants: knowledge sharing is a main issue also in this context. 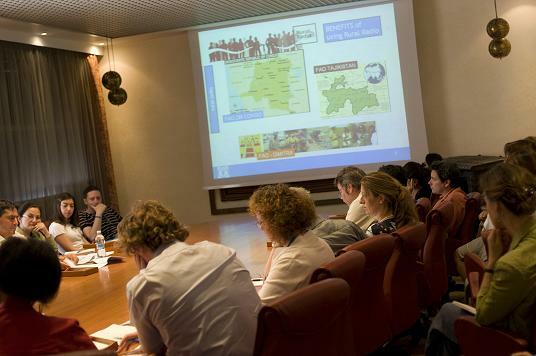 I think we, at FAO, have the knowledge to provide a major support both on the idea of setting up the news agency and on the side of increasing networking activities. Categories: events, ideas, news, reports | Tags: AMARC, Asia, Asia Pacific, collaboration, communication, conference, knowledge management, knowledge sharing, needs, network, networking, online communities, partnership, radio, rural radios, support, talk share, technology, web, workshop | Permalink. Do you remember the AMARC Pan African Conference I took part last April, in Abidjan? Good! I’m almost ready to go to Bangalore to take part to the 2nd AMARC Asia Pacific Conference! Reports will be available soon in this blog as well as on my twitter account. 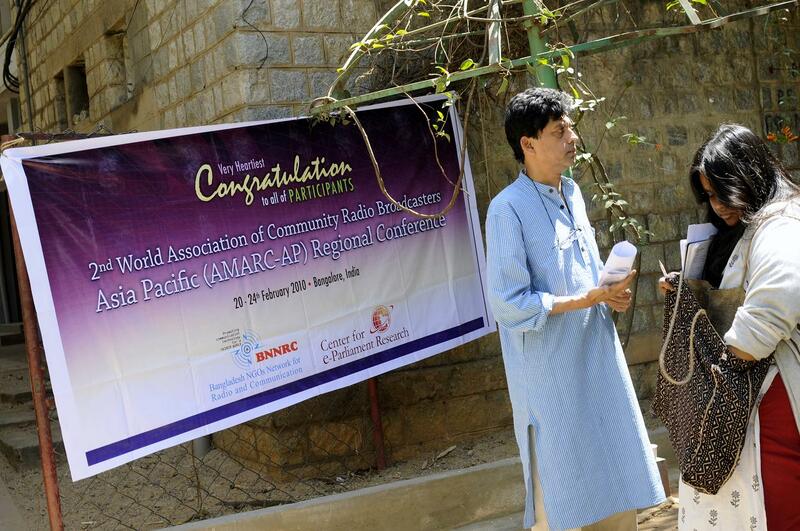 This is a very important occasion to meet for the first time with such a large group of Asian radio broadcasters who are actually expanding and developing many activities in the field of rural and community radio. Categories: events, news | Tags: 2010, AMARC, Asia, Bangalore, broadcasting, communication, communication for development, conference, development, FAO, India, networking, Pacific, people, radio, rural radios, support, workshop | Permalink.